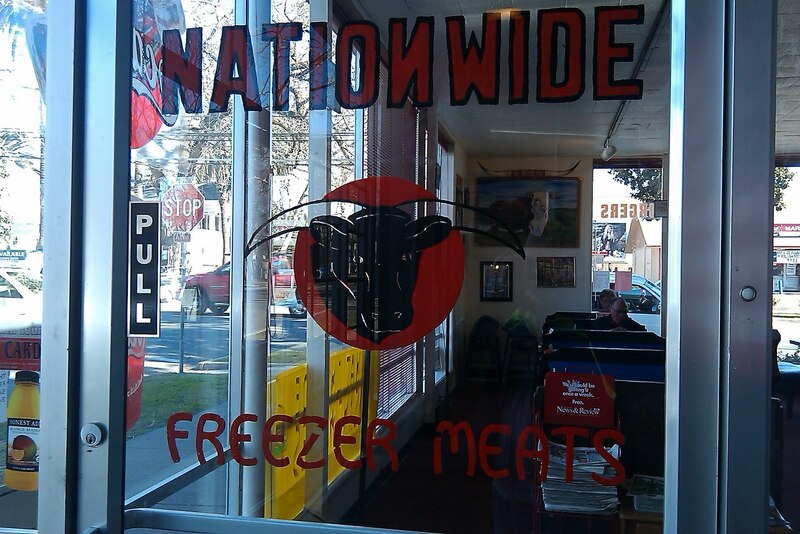 Nationwide Freezer Meats was the place where I discovered a hamburger could be something more than a Big Mac or Whopper. I remember the first time I bit into a French Ground Steak Burger, it was as if I was tasting a hamburger for the first time, and all the Big Macs and Whoppers were baloney sandwiches. The French Burger was a mind-blower. 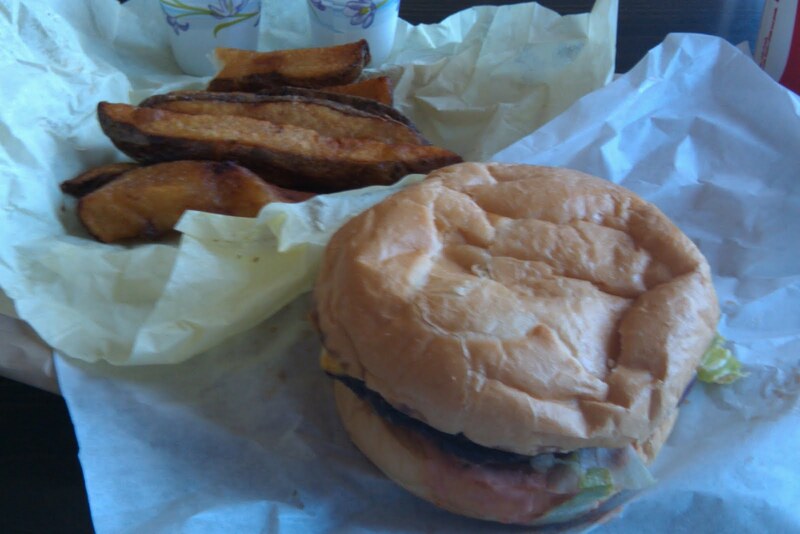 The experience did not stop me from buying neighborhood corporate burgers, but every bite of these prefaburgers made me acutely aware that there were burgers out there that were in a altogether different class. When I pulled up to its nondescript facade I was reminded that, as its name suggests, Nationwide was at one time a butcher service that sold hamburgers on the side. Part of this “restaurant is our second job” mentality is still reflected in how eat-in customers are treated–receiving their eat-in orders in a plain brown paper bag. I do not know if anyone has ever taken this approach the wrong way. Nationwide does not put on any airs—the cheap carpet, the mismatch furnishings, and the wood paneled partition circa 1970s makes me feel like I could fart, belch, and pick my nose without embarrassing myself while enjoying my “to-go meal” on the property. 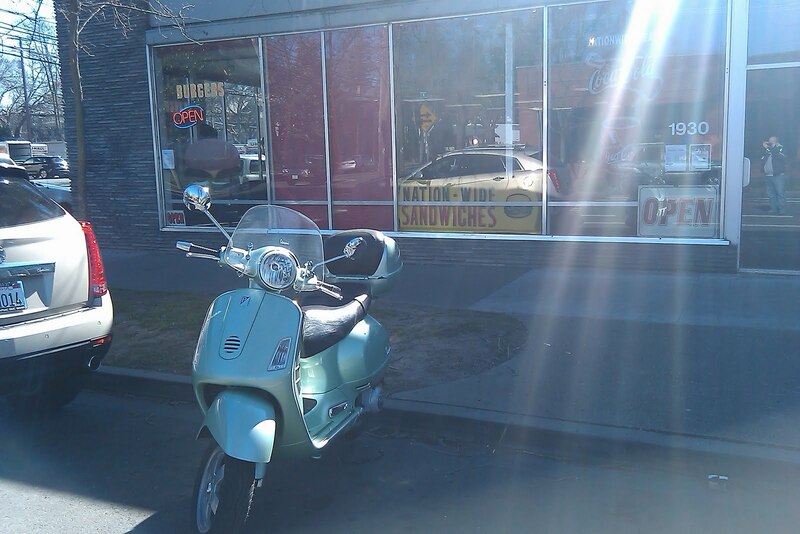 Ironically, Nationwide does not offer to-go menus. I ordered my meal off, what I believe to be, the same old Coca-Cola sign with changeable characters that I ordered off of back in the early 1990s. Just like I did back in the 90s and many times since, today I ordered the French Ground Steak Hamburger with cheese, which is comprised of a single 1/3 lb patty, cheese, lettuce, tomato, pickles, raw onions, and a special sauce on what the menu calls a fresh-baked french roll. The french roll was the first thing I noticed about the burger. It is supposed to be one of the distinctive elements, but the roll was nothing special. The hamburger fixings were fresh, but there was nothing spectacular or original about their taste, size, or presentation. Only the Harris Ranch ground beef patty stood out. The problem with that is there being plenty of top-notch hamburger places that use exclusive beef—that alone no longer makes an exceptional hamburger. I ordered a meal, which came with a drink and fries. The fries were thick, steak fries, basically small potatoes that had been quartered so they had a very “doughy” taste and needed a lot of ketchup. Since the tables do not have condiments I was dependent on the ketchup the server provided in small disposable cups. I just got by without having to ask for more. The whole meal totaled about $13, which was okay, but I felt I could get a better burger and fries for that much somewhere else. Nationwide also offers grilled onions and mushrooms free upon request and bacon for an additional $1.75. I am told they will also include avocado to your burger, but I do not know how much extra they charge on that item. If Nationwide did not have a place in my over-stressed heart, I would write them off as just another good, but not great, hamburger joint, but I know I will be back. This was probably just a bad day. Nationwide has been a favorite for so long I just could not give up on it. 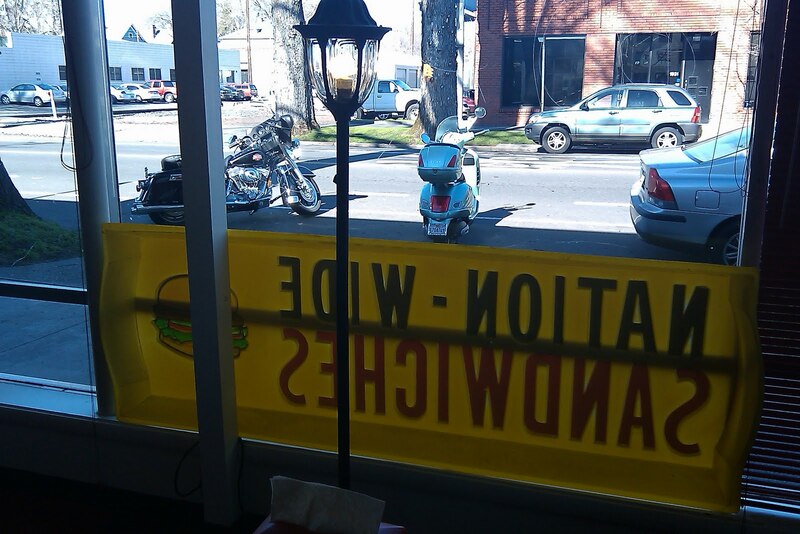 For now, there are other burgers in Sacramento to try.